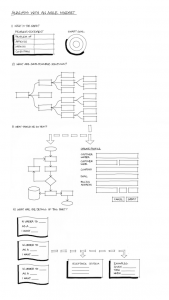 This lightly edited excerpt from Beyond Requirements:Analysis with an Agile Mindset describes a typical approach to analysis in software product development where teams exhibit an agile mindset. It places into context most of the techniques described in the technique briefs on the site. This approach to analysis happens in four steps. You can get a lot of value out of having big items on your backlog (ie features) because you can get a broad view of the overall output you might need to deliver without having to dive into detail on any one particular item too soon. At some point, though you do need to dive into detail on something in order to start delivery. 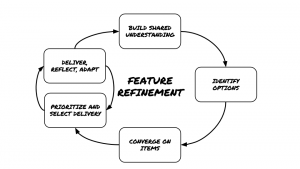 Feature refinement provides a way to do that in a way that allows you consider options and focus on the essential aspects of the feature and discard the aspects that aren’t completely necessary. 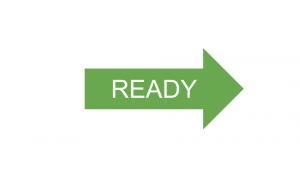 A definition of ready is an agreement on the set of conditions that need to be true in order to consider a backlog item ready to be included in an iteration for delivery.